An energy-efficient data center has achieved 2N redundancy, or twice the number of backup generators for a given load, using novel energy-saving techniques and emergency standby generator sets from MTU Onsite Energy. 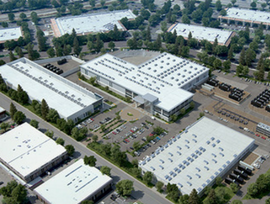 Using a unique energy-saving cooling system, Vantage Data Centers was able to reduce the Power Usage Effectiveness (PUE) of their new Santa Clara, CA facility to a score much lower than most data centers, resulting in this mission-critical center’s ability to provide 2N redundancy level using six 3,000 kW MTU Onsite Energy standby generator sets, which are located outdoors in individual weather-tight enclosures with sound attenuation. Among other benefits, such as seismic certification, quick recovery, fuel efficiency and reliability, Vantage Data Centers chose the MTU generator sets due to their scalability, and plans to incrementally increase the number of generators with relative ease as the center expands. Pacific Power Group, an authorized MTU Onsite Energy distributor and service provider for all generator brands, has commissioned the last three MTU Onsite Energy generators of 14 total at Infomart’s Portland, Ore., data center. 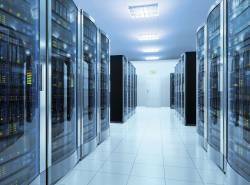 Founded in 2006, Infomart is a leader in building, owning and operating wholesale data centers. The company’s 345,000-square-foot data center is critically important to ensuring constant connectivity for vital web and cloud-based services around the country. Since its inception, Infomart has achieved 100 percent uptime, and the company relies on Pacific Power Group to deliver on that reputation and for its extensive track record of success powering data centers across the Northwest. 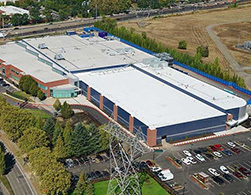 The two companies originally began working together in 2011 with the first phase of the Portland data center’s construction. PPG provided Infomart and their construction teams on the project with engineering assistance and equipment specifications for the data center’s backup power system and provided seven generators in the initial phase. The partnership grew over the next five years to encompass two additional phases including seven more 2.25- and 2-megawatt MTU Onsite Energy generators. After careful coordination with Infomart’s data center equipment, MTU Onsite Energy gensets were selected and supplied with onboard paralleling capabilities, customized quiet sound attenuating packages to meet stringent local noise code requirements and sub-base fuel systems. Pacific Power Group’s expertise in the commissioning process was essential in providing Infomart with a reliable emergency power solution for their Portland location. Prior to final completion of the project, PPG rigorously tests and commissions each individual generator and the complete system to optimize performance for that facility’s specialized use. This process helps ensure that Infomart’s MTU generators will be available to support their servers in the event of an emergency or power outage. PPG’s Power Generation team also provides preventative maintenance for the critical information hub. By proactively managing the maintenance needs of Infomart’s backup power system, Pacific Power Group is able to help Infomart increase its effectiveness and their peace of mind in having power at all times. In 2015 our expert sales consultant team worked with a Hillsboro, OR data center to supply a complete backup power generation solution. Seven 2250 kWe and two 2000 kWe MTU Onsite Energy generators were supplied, installed and commissioned by our team, along with enclosures and fuel tanks. With its new power system in place the data center has peace of mind knowing that if a power outage or other emergency strikes, its customers are protected with 10 second or less load acceptance, ISO 8528 rated load factor and long service intervals.